Spooky season is upon us. Netflix is overwhelming our feeds with thrilling horrors and Halloween-themed movies, Pumpkin Events are popping up, and folks are rushing to assemble their costumes in time for the holiday. Halloween is no joke. The days leading up to the holiday are filled with adrenaline spikes and gut-wrenching screams that surround haunted houses, disturbing costumes, and other methods of Halloween inspired terror. 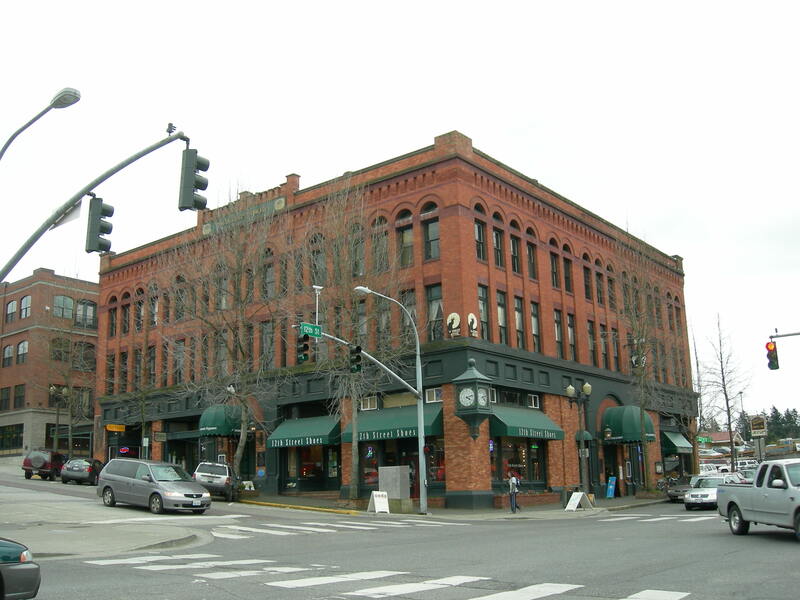 In light of the strange need for humans to instill fear in themselves throughout this month, it seems important to discuss the allegedly haunted establishments in the Bellingham area. The following offers information on haunted buildings around the community, so if you’re one of those people who likes to give yourself mini heart attacks - or maybe you just want to know what’s out there, this one’s for you. 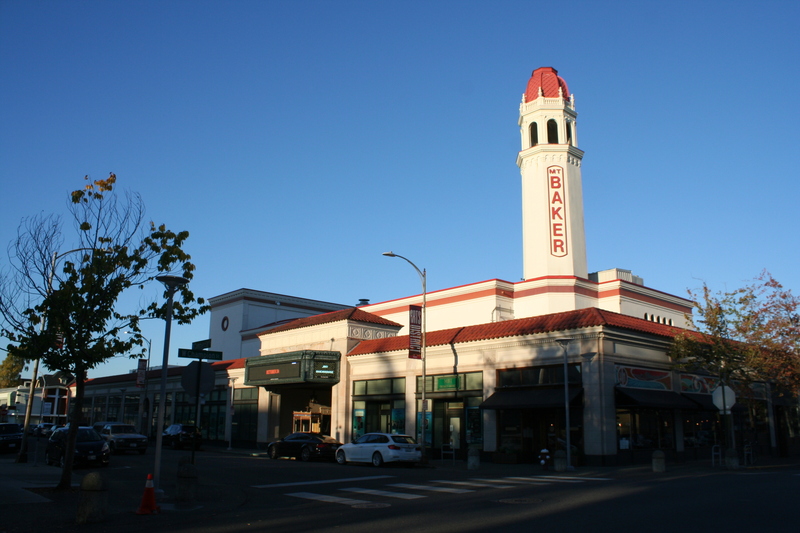 Let us begin with the historic Mount Baker Theatre. This venue has had reports of strange voices, orbs of light, cold chills, an unexplained displacement of objects, and the most notable: a ghost named Judy. Judy was a resident of what was once a boarding house, which has since been replaced by Mount Baker Theatre. It has been said that one night when Judy returned to her room she fell ill and died. Her room was located where the stage of the theater now stands. Take a moment to let that sink in. As you may have guessed, Judy is rumored to haunt the theater to this day, and some have claimed to see or hear her. Employees at the theater have found furniture and other objects misplaced with no plausible explanation as to how they were moved, other than by a ghostly spirit. Some have heard their name called or felt touches on their backs or shoulders when no one else was around. Paranormal investigators have spent time recording their experiences there, and have not found anything malicious, just some things moved out of place. Investigators have captured photos that show balls of light or blurs that were not there as they took the pictures. These reports have been attributed to Judy’s presence, along with new paranormal encounters that continue to arise. 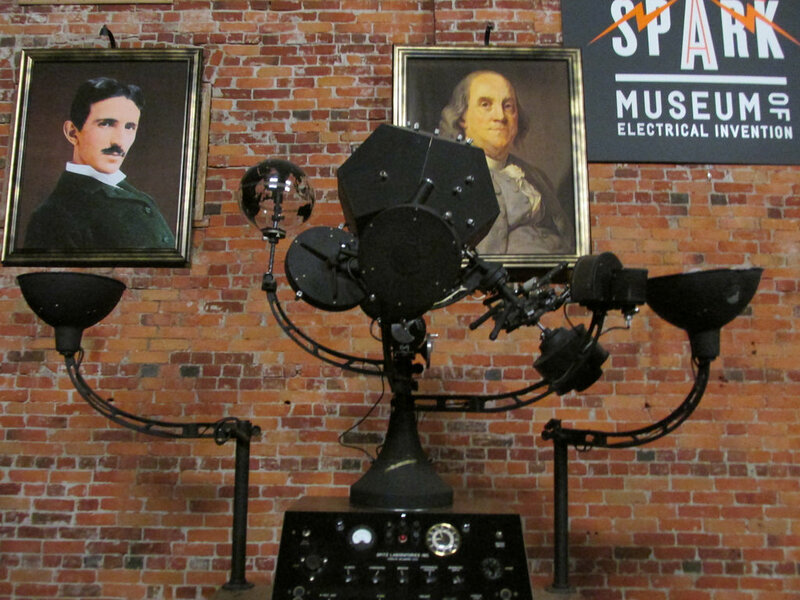 In 1930, a man named Abraham Lawson shot himself in the Home Store, located where the Spark Museum now stands. 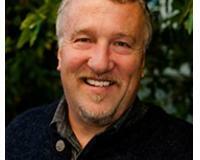 He died soon after from swelling in his brain, and left behind his wife and two daughters. There have been numerous accounts, all from women, who have heard the sound of men’s dress shoes walking around after hours. Employees have also experienced musical instruments playing on their own. One report was from an employee who was working late at night and suddenly the theremin started to play on its own. This instrument can only be played when triggered by physical motion around its antenna. And yet, there were no other employees present at the time it started playing. Creepy! Located in Fairhaven, the Sycamore Square building has been reported to be haunted, particularly by a woman in green whose name was Flora. This woman lived through traumatic experiences; she had lost a child and her sister, and was ultimately declared insane. Flora died in 1892 in what was called the Mason building at the time. Her notably short obituary stated that her cause of death was a sudden illness, and the coroner reported she had a brain disease that lasted a week before her death. However, there were no attending physicians cited, despite being a time in history where house calls were common, and all of the other death records on at the time surrounding Flora’s death were recorded. Years later, psychics investigated the building due to reports of apparitions of a woman in a green velvet dress, and displacement of furniture around different offices. Interestingly, two psychics have independently picked up on a woman in green that lived in the building at the end of the 19th century, and had died by jumping off of the 4th floor balcony- the floor that Flora had lived on. This may lead one to believe that perhaps the newspapers at the time didn’t want to report on such a tragic death, especially of the Town Marshall’s wife. With all of this information taken into account, it seems Flora may have not died from a disease, and maybe the tales of unexplained experiences in the Sycamore Square building can be attributed to her haunting presence. Visitors to Bayview Cemetery have reported haunted monuments and paranormal activity, including a ghostly apparition floating along the stone walls of the cemetery. Some people believe that this apparition belongs to the person buried beneath “Angel Eyes”, one of the cemetery’s more famous haunted monuments. “Angel Eyes” is a statue of an angel holding a wreath, known for its creepy eyes, which some say glow at night. Another haunted monument is called the "Death Bed", which looks like a hollowed out temple. It is said that when one lies upon this monument, they expedite their own death. Maybe don’t go too near that one. 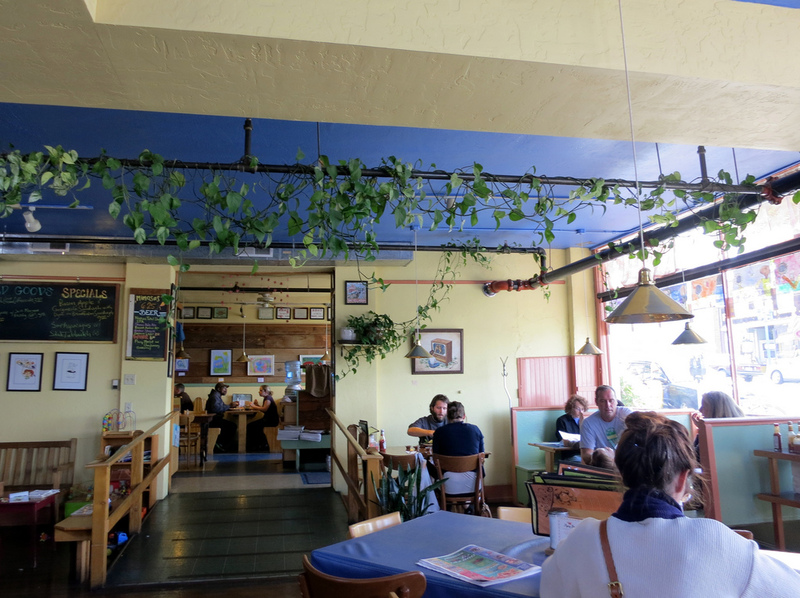 In “The Ghost Hunter’s Guide to Seattle and Puget Sound”, Old Town Cafe was deemed haunted by at least two ghosts. Employees have seen dishes float in the food preparation area, patrons have heard piano music though there is no piano in the building, and people have noticed the apparition of an old man, along with the smell of tobacco in the morning, when no one else is around. People walking by the Old Town Cafe have reported seeing a woman looking at them from the second-floor window with an entranced look on her face; she then vanishes. 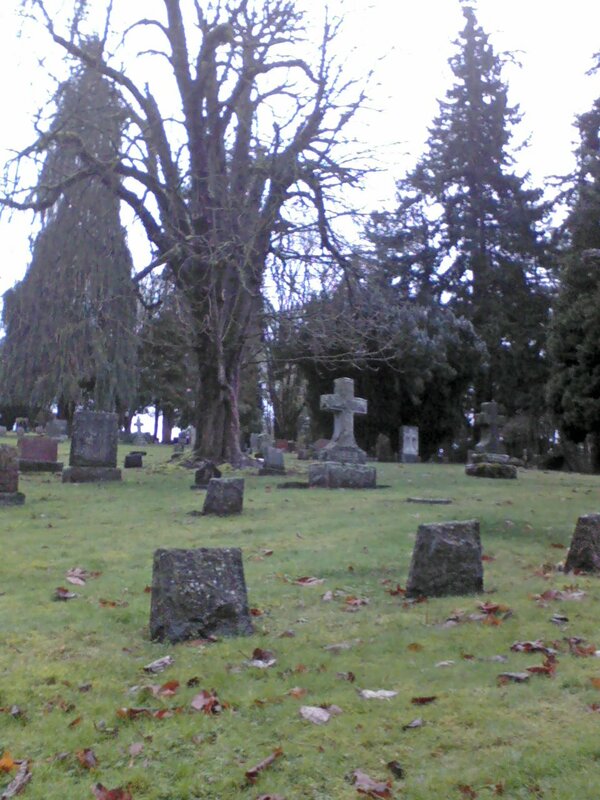 These are just a few of the popular haunted areas around Bellingham. 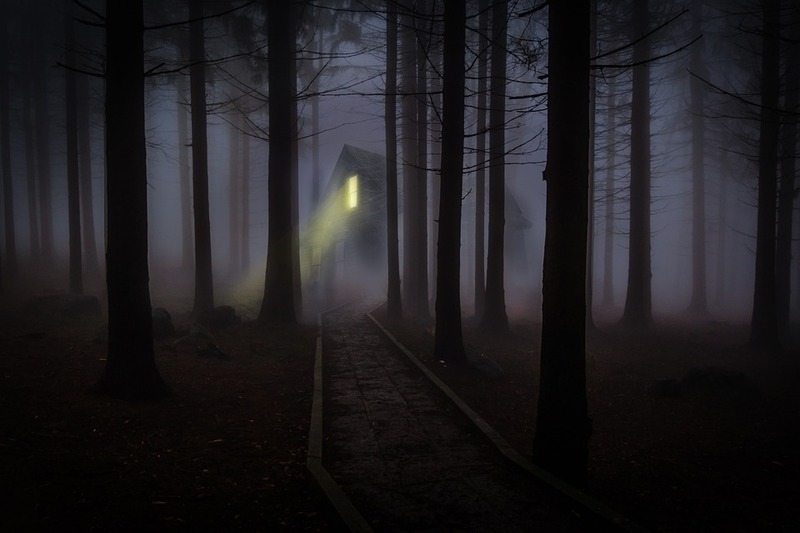 If you have a story about a paranormal experience you’ve had, or a tale you have heard about a haunting in Bellingham, feel free to share it in the comments!